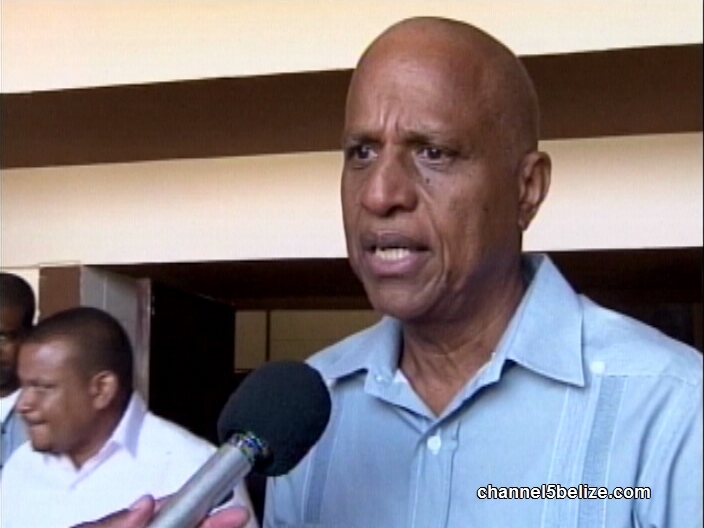 News Five was able to pigeon-hole Prime Minister Dean Barrow for a quick interview following the sitting. We asked first about the U.S. State Department’s Trafficking in Persons report. This year, we have been named as the worst trafficking offender in Central America, and comparable only to Haiti and Suriname in the Caribbean. The report stated that, (quote) “The Government of Belize does not fully meet the minimum standards for the elimination of trafficking and is not making significant efforts to do so.” (Unquote) Worse, there are five references to, “Trafficking-related complicity by government officials, including those at high levels.” This leads the U.S. to conclude that government is not doing anything about the problem. But the Prime Minister told us that he isn’t buying it. Belize is presently on tier three according to the report, but four years ago, Belize ranked among the Tier Two nations. Hahaha, “I do not accept”. As if the US or anyone else cares if Barrow accepts or not, we’ve got a Belizean Donald Trump sitting in power. Ridiculous. Because it is under his watch and makes him look incompetent, Barrow acts like he is unaware. You can only lie to people that are not informed. The US should take away your Visa too. Can Education Gap in Labour Force Be Cured? 4 Pilots Train to Fly Huey ‘Copters for B.D.F. Know Your Status: Test for HIV!